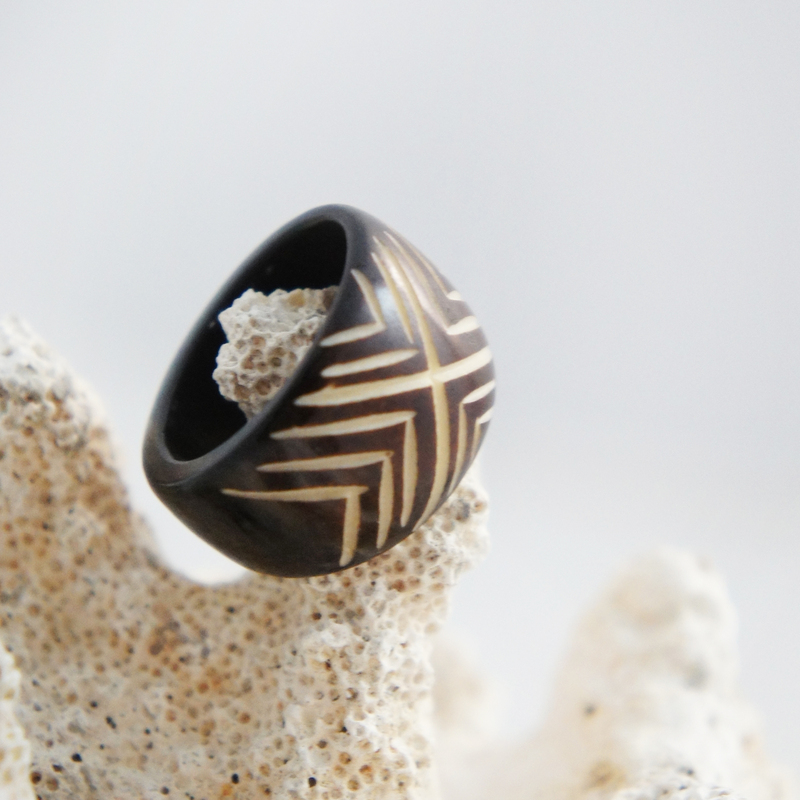 This wood ring was carved based on traditional Polynesian/Maori tribal designs with simple yet beautiful arrowed stripes. 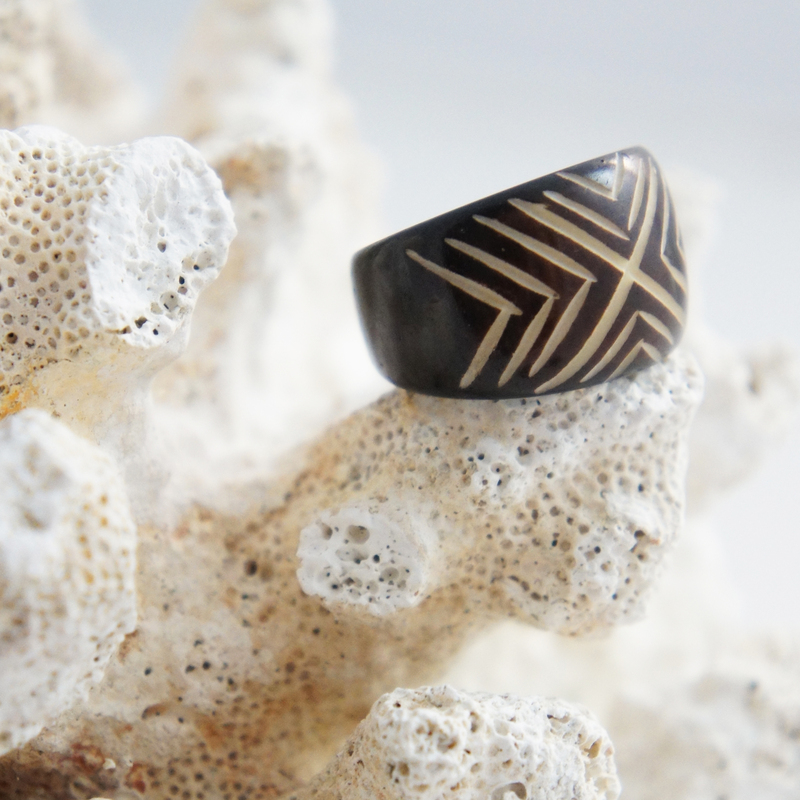 Our rings are carved to enhance the natural texture of wood grain creating a beautiful piece of organic jewelry. The Maori are indigenous Polynesian people of New Zealand who would carve beautiful tribal designs in wood and other natural materials as well as create intricate moko or tattoos. The art of the Maori mainly focused on spiritual subjects, ancestry, and liniage. 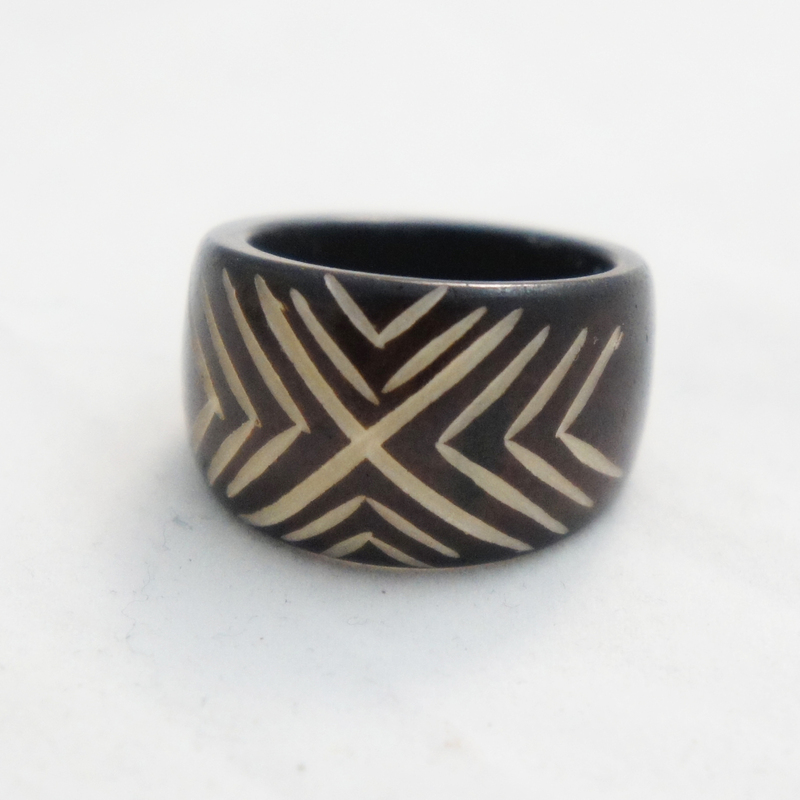 Note: These rings are handmade and may vary from the images shown. Avoid exposure to abrasive surfaces, such as sand and detergent, harsh chemicals and extended submersion in water. Never wear your ring when swimming, dishwashing or showering. Oiling your ring with oils like jojoba oil helps to maintain the color of the wood.